Mahalo to Toni McIntire from Tampa, Florida for sharing this Aloha Friday Photo. 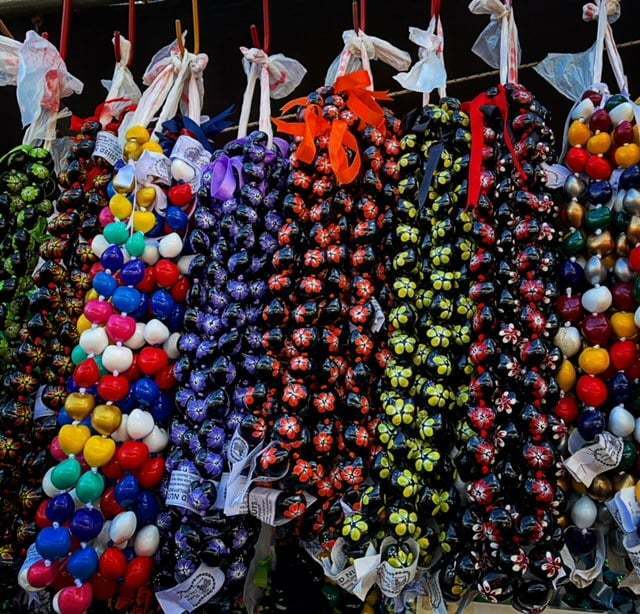 Toni’s photo shows kukui nut leis on display from one of the vendors at the Aloha Stadium Swap Meet market in Honolulu. These colorful and polished leis remind us that Lei Day is coming next week — May 1st. It’s the perfect time to reflect on the beauty and symbolism of the lei and its importance to the Hawaiian culture. The post Aloha Friday Photo: Kukui Nut Leis at Aloha Stadium appeared first on Go Visit Hawaii.